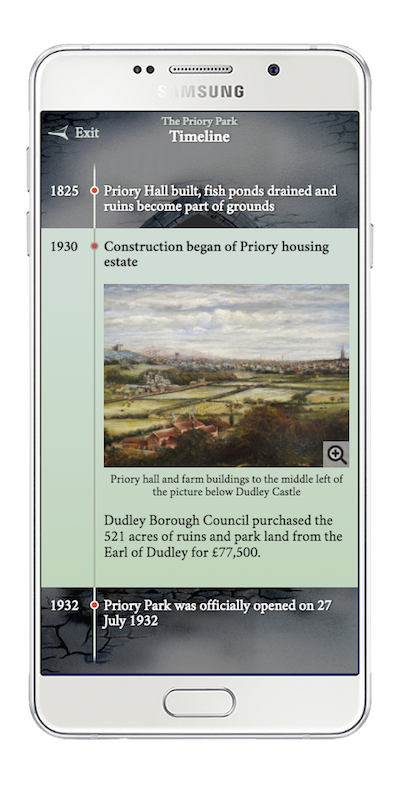 Launched in 2016, our mobile tour guide app for Priory Park in Dudley UK, via GPS trails and an interactive timeline, allows visitors to explore the history of the park and Priory, which dates back nearly 1000 years. 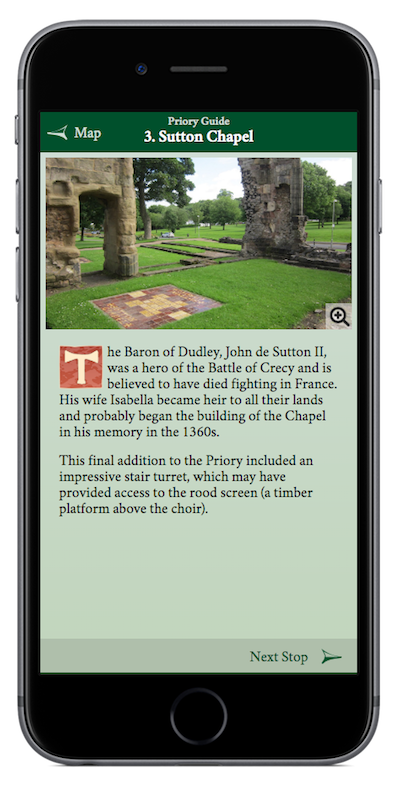 Discover Priory Park, a five minute walk from Dudley town centre, West Midlands UK. 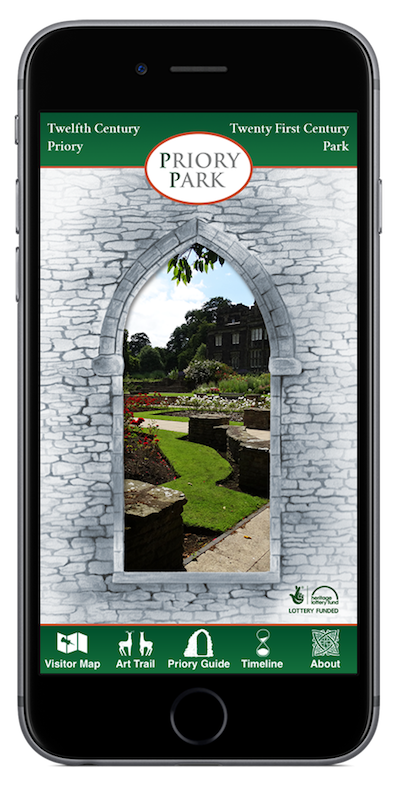 Follow the Art Trail, explore the Priory ruins and learn more about the park’s history through to present day, including the Heritage Lottery Funded park restoration. Opened formally in 1932, Priory Park has a history dating back nearly a 1,000 years. The park retains many of its original features, including the remains of Dudley Priory, a scheduled ancient monument, and Priory Hall, a Grade II listed building. A Heritage Lottery Funded restoration of the park, which was completed in 2013, brought a number of exciting new improvements to the park, including modern-day artworks by local artists and school children, modernising of recreational facilities and many other renovations. 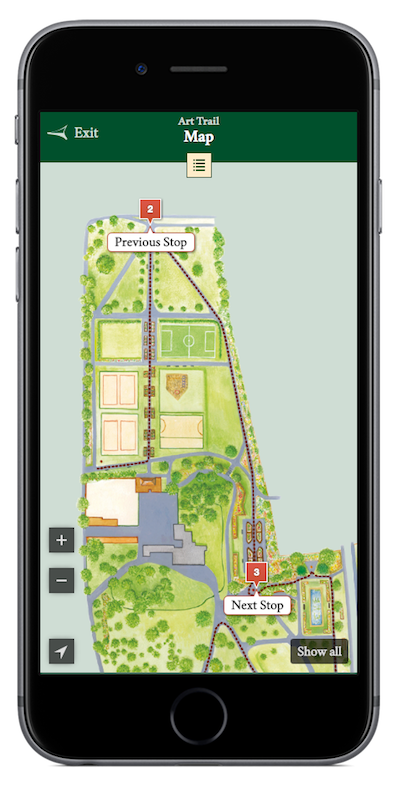 This app is designed to be used at a companion to your visit, but can equally be enjoyed from the comfort of your own home.